Hi-Tech Seals offers an over moulding service as a means to recycle worn parts. Over moulding is cost effective and environmentally friendly. The over moulding process prolongs the life of existing rubber and plastic components by replacing the worn off area of the part with a urethane blend. 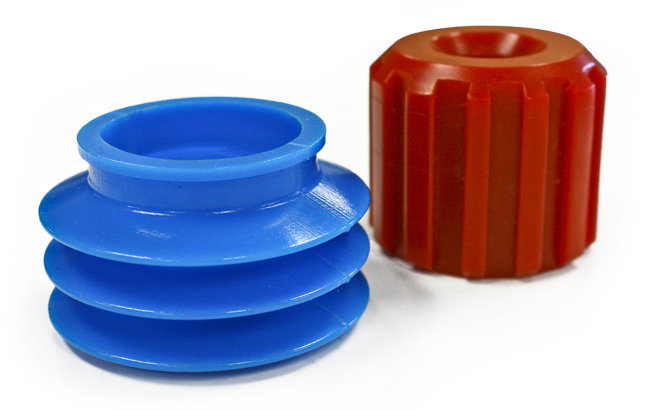 Due to urethane’s improved wear and load bearing ability, over moulded components can even out perform many OEM components. If a sample component is available, Hi-Tech Seals will use the sample to create the cast. If a sample component is unavailable, a cast can be formed from a part created on our 3D printer or manufactured from our CNC machine. Once the cast is created, the worn component is placed into the proper position, and the urethane blend fills the empty space in the cast. 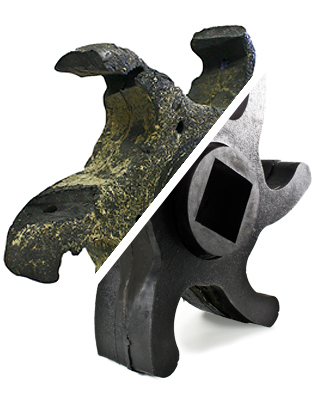 Hi-Tech Seals can reproduce metal components using a customized urethane compound. Urethane elastomeric properties make it an ideal replacement in situations where wear, impact, or corrosion is a concern. The components also feature the added benefit of being lighter, easier to install and it can reduce noise. 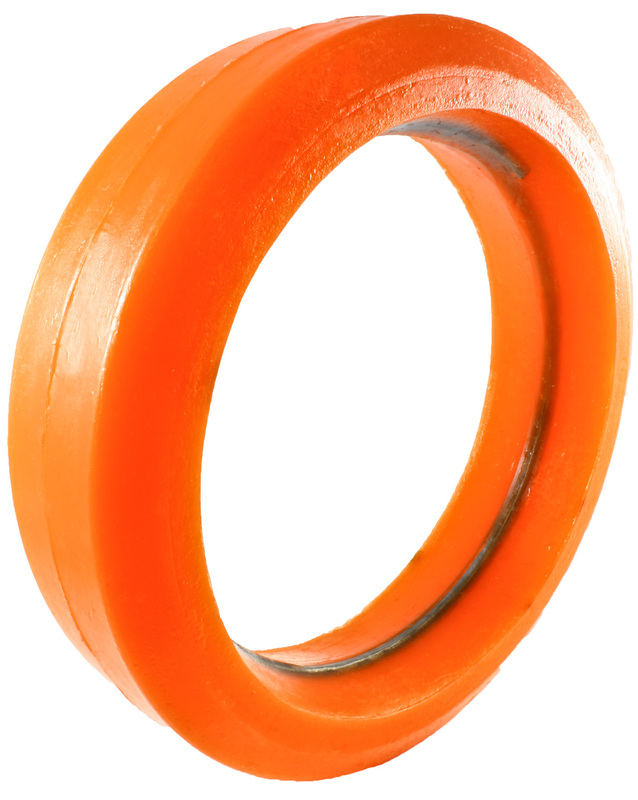 Urethane is more versatile and offers significant wear resistance over other rubber, and plastic components. It provides strong cut and tear resistance, elastomeric memories, and oil resistance. 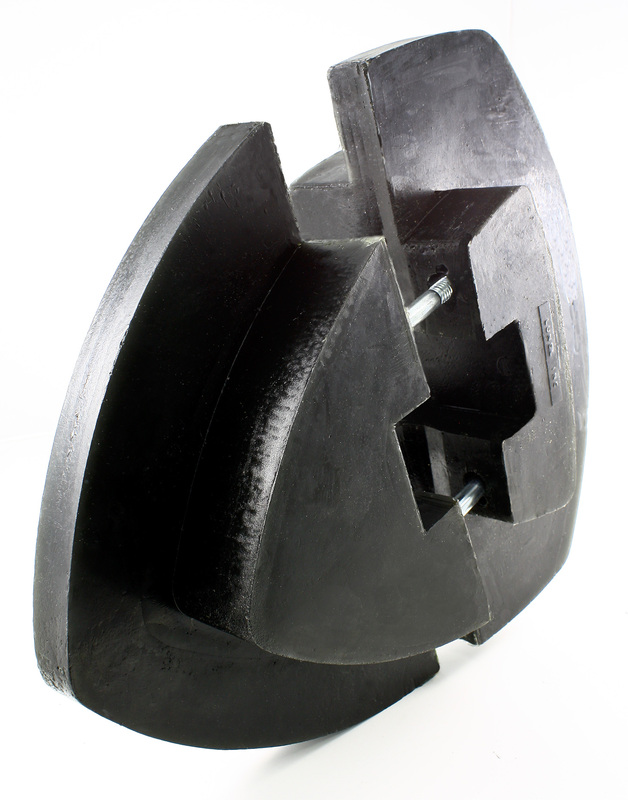 Polyurethane’s properties make it an ideal material for load-bearing applications. Metal threads can be incorporated into your urethane component. Metal threads will allow the urethane component to be screwed into place. Create split parts by incorporating metal studs into your urethane component. Hi-Tech Seals can manufacture components in two pieces. On one of the components we can mould in a stud that will insert through the other component. Split parts allow for easy installation without the trouble of disassembling the machinery. 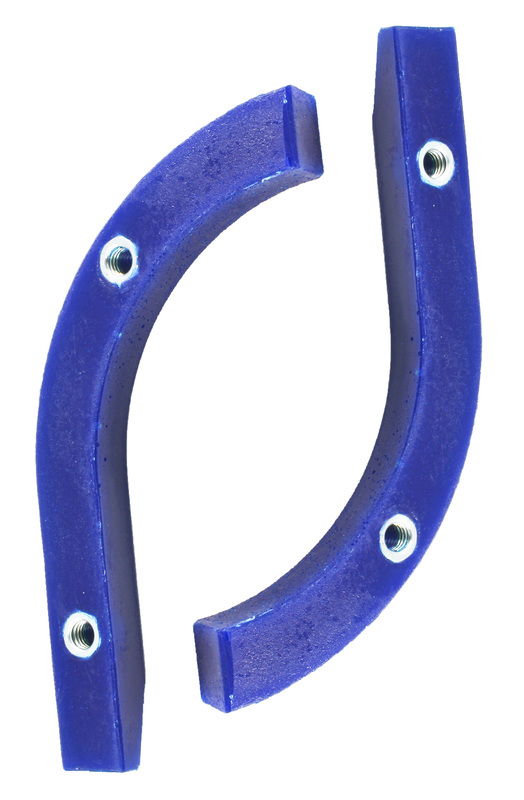 Incorporate a rigid metal support structure within the urethane. The metal hardware allows the urethane to benefit from the strength of the metal while exhibiting the properties of a urethane.